Guiness Book of World Records is known to be the home of the longest, shortest, fastest, fattest and anything for an individual and even collective records. It is a reference book published annually, containing a collection of world records, both human achievements and the extremes of the natural world. The book itself holds a world record, as the best-selling copyrighted book series of all time. Now a new record has been officially confirmed by its officials and that is having the new World's Shortest Man record holder. 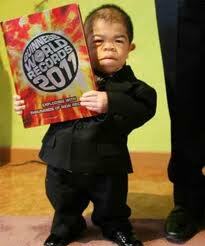 Formerly, shortest man in the world until 2011 by Guiness World Records was Khagendra Thapa Magar from Nepal who measures for about 26.4 inches or 67 cm, now the record is being transferred to an 18 yearl old guy from the Philippines named Junrey Balawing, measuring 23.59 inches or 59.93 cm. He is just 3 inches shorter than the former record holder and 1 year older than Khagendra. 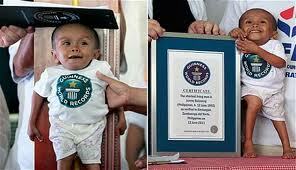 The official declaration of the new shortest man alive was awarded to Junrey on the day of his birthday, June 12. But Guiness has the record of the World's shortest man ever verified, Gul Mohammed, from India who died in 1997, only measuring 22 inches or 57 cm, just 2 centimeters shorter than Junrey. He was examined in 1990 by the officials from Guiness World Records and declared as the record holder on the same year. He died at the age of 40. 1. Khagendra Thapa Magar (Nepal) - Former shortest man in the world until 2011, measuring 26.4 in (67cm ), according ti Guiness World Records. 2. Younis Edwan (Jordan) - Shortest man claimant, is said to be 26 in (65 cm) but not verified by the Guiness World Records. 4. 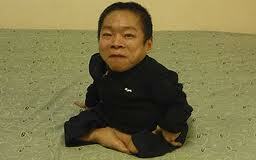 Lin Yü-Chih (Taiwan) - Former shortest man in the world until 2009. 5. 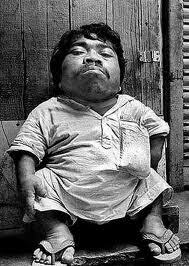 Edward Niño Hernández (Colombia) - Named the shortest man after He Pingping died in March 2010, at 27.64 in (70.21 cm ), but lost the title in October 2010 to Magar. 6. 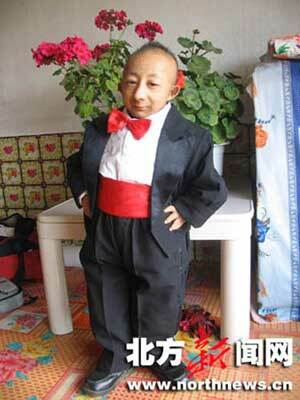 He Pingping (China) - Once officially verified as shortest living man (mobile) at 29 in (74cm), until death in March 2010. Critis101. Ethereal theme. Powered by Blogger.